Join the Santa Monica Bar Association for an interactive Q&A session with Fred Goldstein, General Counsel for the Los Angeles County Museum of Art. Fred Goldstein, Senior Vice President, General Counsel and Secretary of the Los Angeles County Museum of Art, joined LACMA in February of 2005. Prior to joining LACMA, Mr. Goldstein served as the Senior Vice President and General Counsel for the Phoenix House Foundation in New York and previously as a partner in the law firm of Wachtell, Lipton, Rosen and Katz. Mr. Goldstein received his JD from Yale Law School and his undergraduate degree from the University of Michigan. He has taught Art and Museum Law at Southwestern University School of Law and has served as a member of the Executive Committee of the Entertainment Law and Intellectual Property Section of the Los Angeles County Bar Association and as a Trustee of the Los Angeles Copyright Society. Mr. Goldstein has also served on the Planning Committee and as a faculty member for several years for the annual Legal Issues in Museum Administration course, organized by the American Law Institute and the Smithsonian Institution. 3/30 Southern California Mediation Association Event w/ Discount for SMBA Members! confidentiality, effective processes, settlements and the future of mediation. If you have ever wanted to help aspiring attorneys, volunteer your time or wonder what it would be like to be a judge, now you have the opportunity. For the first time in the 33-year history of collegiate mock trial, the 2017 National Championship Tournament will be held in California. On behalf of the UCLA Mock Trial Program and the American Mock Trial Association, you are invited to volunteer as a presiding judge or scoring judge at the 2017 National Championship Tournament. The DTLA Championship Tournament will be April 21-23, 2017 at the Stanley Mosk Courthouse in Los Angeles, featuring the top 48 teams in the nation. Volunteers must be attorneys or judges, but you need not have trial experience. Presiding judges rule on objections and introduction of exhibits, while scoring judges will rate the student performances. Parking and meals will be included. The National Championship Tournament for collegiate mock trial will be held on April 21-23, 2017 at the Stanley Mosk Courthouse. Rounds will be Friday afternoon (4/21), Saturday morning or afternoon (4/22) or Sunday morning (4/23). For more information about the tournament please visit our DTLA Championship Tournament website athttp://www.anderson.ucla.edu/dtla-mock-trial or Gonzalo Freixes, Associate Dean and NCT Mock Trial Championship Tournament Director, gonzalo.freixes@anderson.ucla.edu. If you are looking for a change of pace, you may want to apply for one of these positions at UCLA School of Law. Santa Monica Bar Association members are invited to participate in a free, half-day symposium about how to improve their "business athletics," enhancing career and business performance. 30KFT (30,000 Feet) is a business and career consulting firm helping people and companies take off by increasing performance. 30K FT is presenting a free interactive symposium designed for today's modern professional. Presentation and discussion on time management, communication, wellness, career strategy and more. This monthly symposium explores pragmatic and simple performance solutions, such as behavior change, business psychology, high performance learning, time mastery, crisis management, commanding communication, sustainable wellness, business travel tips and much more. The symposium will be held on March 25, 2017 from 12:00 noon to 6:00 pm, at F45 Pacific Palisades, 532 Palisades Drive, Pacific Palisades, California. The Santa Monica Bar Association welcomes you to meet fellow attorneys and attorneys in training at UCLA's 21st Annual Small/Mid-Size Law Firm Reception on March 9, 2017. • Share your insights and experiences in an informal setting. • Help students learn about the realities of practicing In small/mid-size law firms. • Educate students about your unique practice area. Because this event is for informational purposes, your presence is valuable even if your firm is not hiring law students. The Santa Monica Bar Association is proud to bring Judges' Night back to the historic Annenberg Community Beach House on the Pacific Coast Highway in Santa Monica on April 19, 2017. 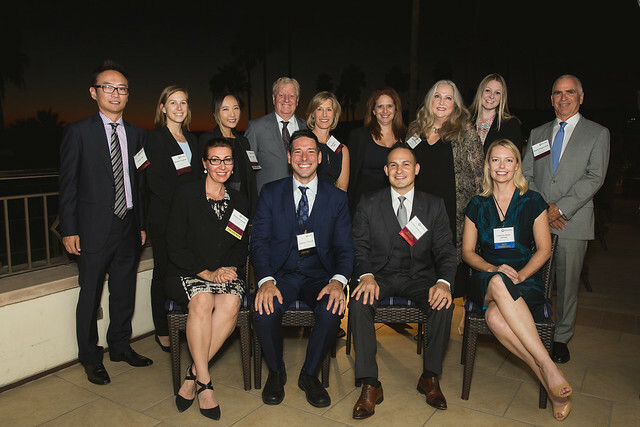 The SMBA's annual Judges' Night honors our judges serving the Los Angeles County area and thanks them for their continued dedication and contribution to the community and administration of justice. This must-attend event provides attorneys the opportunity to meet and thank sitting judges and mingle with friends, colleagues and professionals. For more information or to register for the event, visit https://smba.wildapricot.org/event-2375613. The Santa Monica Bar Association welcomes you to expand your network and learn something new from our colleagues at Pepperdine Law School on March 23, 2017. Pepperdine Law School's Journal of Business, Entrepreneurship, and the Law is hosting its annual symposium on March 23, 2017 at the Directors Guild of America (DGA) Theater Complex on Sunset Blvd. This year’s symposium will feature esteemed panelists discussing legal developments within Performing Rights Collections and Film Financing. This program is approved for 2 MCLE credit hours. This symposium has been approved for Minimum Continuing Legal Education (MCLE) credit by the State Bar of California for 2 credit hours. Pepperdine University School of Law certifies that this activity conforms to the standard for approved education activities prescribed by the rules and regulations of the State Bar of California governing minimum continuing legal education. Ticketing information may be found at: https://jbel2017.eventbrite.com. What a great time we had at the 2016 Installation Dinner. Click on the photo below to view more photos. The Black Women Lawyers Association of Los Angeles Foundation presents "Supreme Court Review" with Dean Erwin Chemerinsky on Monday, March 20, 2017, from 11:30am to 1:30pm at the LA Hotel Downtown (333 S. Figueroa St., Los Angeles, CA 90071). 1 Hour of Continuing Legal Education is provided.